Wholesale Trader of a wide range of products which include 3d laser machine. 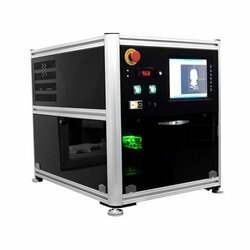 We offer an extensive range of 3DLaserMachineto our clients, which is widely used for advertising, building partition decoration, household appliances, pictorial art viewing and industrial glass processing design. It is also ideal for fine model carved processing center, photo printing shops, wedding photography, souvenirs and personalized gifts shops. Our range is available in different resolution and available at reasonable prices.